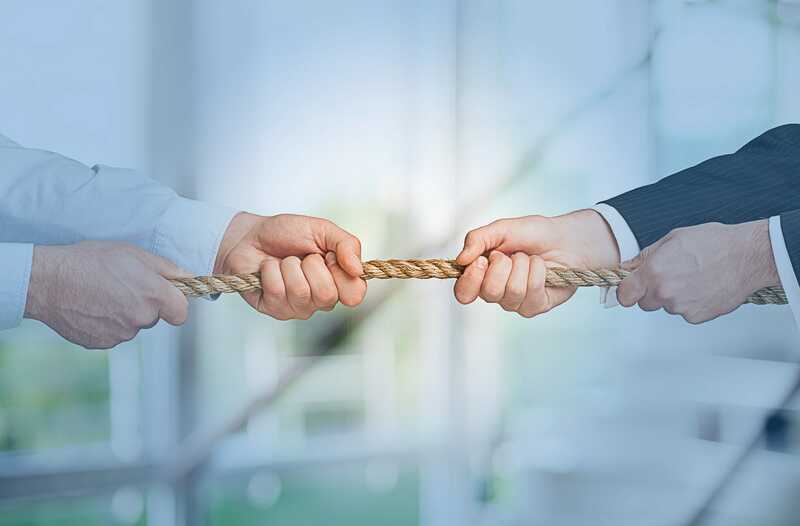 As attorneys, we know that we can avoid conflicts of interest by placing our client’s interests before our own, but conflicts of interest can arise even when one is wary. This program can help attorneys identify conflicts of interest in the practice of law. This course provides effective strategies to avoid conflicts with current and former clients and examines the Model Rules of Professional Conduct and case law that guides us in determining whether such conflicts exist. Robert N. Agre is the owner of the law firm of Agre & Jensen, where he is a certified criminal trial attorney. He practices in the areas of criminal law, trial practice, personal injury, legal ethics, and municipal law. He is a member of the Camden County Bar Association (Judicial Selection Committee), National Association of Criminal Defense Lawyers, the American Association for Justice, and the New Jersey Association of Trial Lawyers. Mr. Agre was named 2012 Camden County Professional Lawyer of the Year. He has been awarded an AV rating, the highest possible, from Martindale-Hubbell and has been recognized by Super Lawyers for eight consecutive years. Mr. Agre is admitted to practice in New Jersey and before the United States District Court for the Districts of New Jersey, Eastern and Western Pennsylvania, and Southern New York, the United States Court of Appeals for the Third Circuit, and the United States Supreme Court. The speaker was extremely knowledgeable and interesting. I enjoyed this presentation very much. Much more interesting than I expected! The speaker kept my interest and attention throughout. He obviously knew the topic completely and presented it with, not only an interesting manner, but also a compelling manner because it is so important, and I thank him. Great personal experiences that perfectly illustrate the dangers of conflict of interest. Mr. Agre and his presentation were outstanding. He's very easy to listen to and his personal stories were very practical and helpful to the information he was imparting. A lot to take in but well presented and very substantive. Provided interesting fact-patterns and scenarios making for a memorable discussion of the conflicts issues. Solid understanding of the subject. Worth watching. I would welcome more ethics classes from this speaker. Presenter has a very good delivery style. He was terrific. Helpful lecture. I was impressed that he was willing to share his own mistakes. Case scenarios selected by speaker to demonstrate conflicts were interesting and memorable. Speaker made topic and application of law easy to follow. Excellent audio presentation. Very informative, and use of salacious fact patterns kept things interesting! Really good presenter, great case examples. Absolutely excellent presentation. This speaker was knowledgeable, succinct, easy to understand, eloquent. Top drawer. Very interesting lecture on a topic that impacts all practicing attorneys. Outstanding program. Initially thought I would hear more war stories where the lawyer was the hero - this attorney was highly relatable & a great speaker. Would look for him again. A very thought provoking presentation. like the personal experiences that were part of the lecture. Very good real life examples of conflicts that can result in the lawyer being in a no-win situation. Good speaker, interesting cases he chose to illustrate the rules. Great course. Faculty was very knowledgeable. Good information and great examples/cases. Particularly fascinated by the section dealing with Dunbar. Excellent real world examples. The course confirmed a lot of what I already knew. Outstanding lecturer. His honesty at admitting past mistakes made his entire presentation powerful. well done, well organized with good examples, the complexity of this area is under estimated by all of us. Good, clear explanation of the concepts. Good presentation. Covered a bland topic well. Very good lecture. I found the scenarios regarding criminal defense particularly relevant and useful to my own practice. Better explanation of conflicts of interest than what my state required me to watch! Excellent! The perfect combination of theory and practice. Personal experience is always a good teacher. One of the most engaging courses I've heard. Highly recommended. I really liked Robert's speaking style and story-telling of real-world examples. I left like I had just sat down and asked an expert, "please tell me the most important aspects of conflict of interest as a practicing attorney and provide interesting insights." Very interesting examples in the presentation. Very clear, concise and deliberative. speaker used actual cases he was involved in to illustrate legal principles. A well-organized and well-presented session with considerable practical value. The hypotheticals added value to the course and helped reinforce the material. Good solid discussion of conflicts of interest as they may impact attorneys. I appreciated the non typical examples provided of potential conflicts. This was a valuable lecture. I thought he was particularly interesting. I liked how he drew on his real life experiences. Very enjoyable and interesting class. Well presented. The presentation covered fundamental ethical issues in a clear and concise manner with numerous examples of how conflicts may arise and how they can be (and must be) effectively addressed. Speaker was interesting and easy to listen to.. This was a very good practical discussion with good examples/hypotheticals. Recommended! This was the best seminar that I have ever attended/viewed. I hope he does more for your company. Nice teal colored PowerPoint presentation. It made if easy on the eyes. The material was very good too. The presenter drove the point home. I like hearing about actual cases. Very good. Very clear presentation and great real life examples. Very interesting examples that were knowledgeably addressed. Ethics is always interesting because it can happen to you. This was very good information presented in a way that kept my attention. In my opinion the speaker appeared to have great knowledge in his subject matter regarding the topic of this course. Thank you. Good speaker. I liked his approach with personal experiences. I am not a litigator so could have benefited from some anecdotes regarding estate planning. Still worth watching for me. Love Lawline. Such a great tool to get info and educations from experts around the country. Good topic to be presented in the context of criminal law. Thorough and well explained - will look for other courses given by Mr. Agre! Great speaker - very engaging. Another course like this would be good with more real world examples to highlight different situations. Presenter did an excellent job. He spoke slowly, and was engaging at the same time. I appreciate the candor and first person experience of the speaker. Another excellent presentation by this speaker. This was a good comprehensive overview of Conflict of Interests, both in Criminal and Civil litigation. The instructor had experience and was knowledgeable in the area, and used some of his cases as examples. He did read some, but overall was effective. Lawline, in my experience, selects highly competent presenters, I appreciate that; Mr. Agre is among some of the best. This was an excellent presentation. Mr. Agre's personal experience as a young lawyer really drove the lesson home! Great class. The teacher is a good storyteller and brought the Conflicts of Interest code to life. Bob was superb. Notably, he could speak without reference to the course materials. That is indicative of familiarity with the subject matter. He knows what he is talking about and it shows. This was excellent. He gave real life ethical dilemmas as a great teaching tool. Highly recommended. Bery useful advice on being wary of representing someone whose fees are being paid by another who may also be charged with the same or similar crime. Common situation that should be recognized as a potential danger zone for attorneys. Friendly manner here was appreciated. Good common sense refresher for situations that are surprisingly not uncommon in law practice. Enjoyed the personal experiences as part of the program. Enjoyed this MCLE. Very informative speaker. He had some interesting case stories. They were different from others that one typically hears in these type of conflicts programs. The speaker was very clear using samples cases to explain the topic. Well done. Good examples and pragmatic advice. This was extremely interesting and gave me information I did not know. Thank you. A good warning about representing multiple clients. I liked him. He was very good. Very well delivered material on a very important subject. I particularly appreciated the very personal experiences and the way they relate to everyday practice. THANK YOU! this was a thoroughly riveting presentation. Mr. Agre is one of the finest LawLine lectures I have had to pleasure of listening to. He is a brilliantly clear speaker. Thank you. Very helpful and well presented. Speaker was well versed in the subject matter. presented at a good pace and did a good job with the subject matter . The lawyer was terrific. One on the best I've listened to. Must be an excellent lawyer! Outstanding. Relating lessons to past experiences makes this far more interesting. The presentation was very clear and offered practical legal advice. Well organized and informative lecture. Very good scenarios. Excellent presenter. Good speaker! and lent his own experience! Best lecturer so far - his real-life examples set/changed rules and laws - these are the type of people whom because of their stories you remember the rules, the nuances and WHY these rules/changes now exist. Issues and rules were clearly presented. I really enjoyed this. Thank you, Mr. Agre. I found this lecture to be quite interesting -- the anecdotes were great. Thank you! Interesting first hand examples of conflicts of interests provided that were quite informative. It was helpful to learn that waivers can be undone further down the representation. Excellent, engaging and informative presentation. I would look for other courses by Mr. Agre. More ethics courses would be awesome! I would recommend it as maybe a Part 1 to a series of two or three 1 hour presentations on Ethical Issues. Another wonderfully informative presentation by a gifted speaker.